Treat that special someone to something special: the Emerald Coast’s finest at Cuvee30A Valentine’s Day Dinner For Two on Thursday February 14th, 2019. As featured on Emeril’s Florida, Tim Creehan’s Cuvee 30A is the area’s only DiRoNA recognized venue (Distinguished Restaurants of North America), and the area’s only Wine List awarded with Wine Spectator’s Best of Award of Excellence. 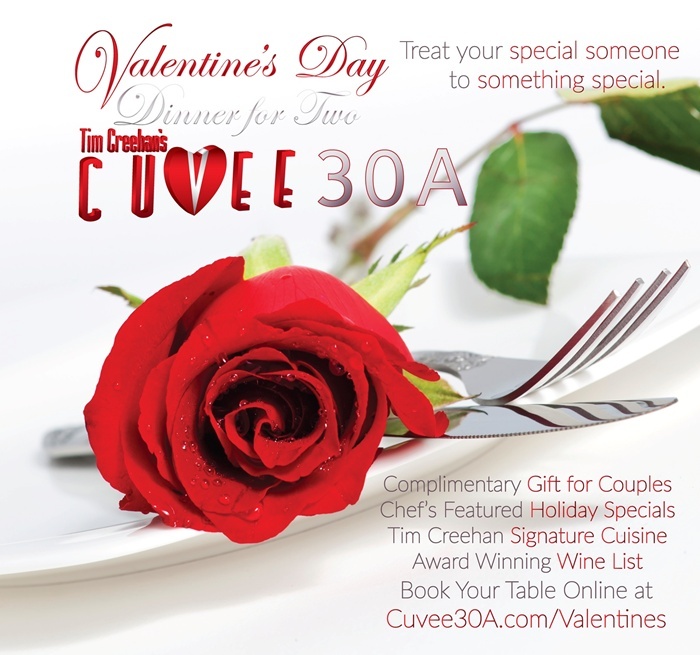 Book your holiday reservations online now at Cuvee30A.com/Valentines.